Situational awareness: After a nearly two-year bidding war, Comcast and 21st Century Fox are looking to settle their pursuit of British broadcaster Sky with a blind auction unless there is a best and final offer this week, per CNBC. Driving the news: Netflix tied HBO in Emmy wins Monday night, putting an end to HBO's 17 year winning streak. It marks the first time in Emmy history that a streaming company has joined a traditional broadcaster in taking home the most awards. And it's the first time any tech company has done so at a major U.S. awards show. Between the lines: Awards aren't always the best measure of how TV companies stack up against tech in creative ambition, (the same shows on streaming wouldn't necessarily work on broadcast TV, as Business Insider's Mike Shields notes), but they do help lure producers and actors for future projects. Amazon just announced an exclusive deal to poach Game of Thrones writer Bryan Cogman from HBO. Netflix inked an exclusive deal with ABC writer Kenya Barris last month, who's responsible for hit shows like “Black-ish" for a reported $100 million. She's the third $100 million+ mega-hire for Netflix, after it poached ABC and FX heavyweights, Shonda Rhimes and Ryan Murphy. Even politicians like Barack Obama and Joe Biden, are launching streaming shows on platforms like Netflix and Facebook, not linear TV networks. European laws and proposals meant to rein in tech giants are inadvertently empowering them. Why it matters: The laws stem from concerns about the behavior of big platforms, like YouTube and Facebook. But big companies have more resources to comply with complicated regulations than small firms. 1. The latest copyright law has big implications for publishers. The European Parliament last week passed a directive that would overhaul its copyright law and would force platforms to impose strict filters for copyright violations or face fines. Regulatory analysts argue that the law seems manageable for Google and Facebook, while some activists say it would crush smaller firms. For media geeks, this would force big web platforms that aggregate content to actually pay publishers for linking to their stories, in what's being dubbed a "link tax." It would also make them obtain licenses for using copyrighted material, which inevitably shift some power back into the hands of creators. 2. A new content filtering law is simultaneously being proposed by the E.U. which would fine internet platforms if they fail to remove terrorist content within an hour of it being posted. Like the copyright law, critics argue that small firms will struggle to comply with this type of regulation without engaging in some sort of content censorship up front. 3. A sweeping data privacy law that went into effect in the EU in May called the GDPR (General Data Protection Regulation), presents similar concerns. From the outset, it became clear that the law could inadvertently cement the dominance of bigger tech platforms that could afford compliance over smaller ones. Early reports suggest that smaller firms are frustrated with enforcement. To date, over 1,000 U.S. websites are still not available in Europe. Yes, but: Elsewhere in Brussels and around Europe, authorities have the giant platforms in their sights. And it's important to remember that these cases move slowly, including appeals and long investigations. The big question is whether E.U.-initiated regulations will be somehow copied in the U.S., which seems unlikely. More from me and David McCabe. For the new guard of wealthy West Coast titans, media is the new philanthropy. And legacy titles, rich with history and cachet, give newcomers access to the talent and infrastructure needed to build influence. Why it matters: History shows that with the right backing, decades-old print brands can be revived. The Washington Post is expanding its newsroom after hitting its second year of profitability and The Atlantic is adding 100 more people as a part of a newsroom expansion this year. The latest ... Salesforce CEO Mark Benioff and his wife Lynne are buying Time Magazine from Meredith Corp., the couple announced Sunday. Meredith acquired Time (with help from the Koch Brothers) as part of a $2.8 billion acquisition of its parent company Time Inc. in January. The deal is priced at $190 million dollars, which is low considering the magazine was once one of the most popular reads in the country — but high considering it's lost roughly a quarter of its subscriptions in the past year as its struggled to adapt to the world of digital, according to The Wall Street Journal. Time generated revenue of $173 million in 2017, and operating profit of $33 million, sources tell WSJ. "Revenue is expected to decline nearly 9% to $158 million in 2018, while operating income will be about the same ... The Benioffs are paying around 5.76 times operating profit for Time magazine." The big picture: The Benioffs follow tech billionaires like Jeff Bezos, Laurene Powell Jobs and Patrick Soon-Shiong, who purchased The Washington Post, The Atlantic, and Los Angeles Times and the San Diego Union Tribune in the past few years. The big question: What becomes of the other now Meredith-owned publications up for sale, like Sports Illustrated, Fortune and Money? The chief content officer at the former Time Inc. tells NYT that there are advanced conversations happening around those three titles. The New York Post reports that all three titles are in final negotiations with a buyout group that includes billionaire Dan Gilbert and best-selling author Tony Robbins. 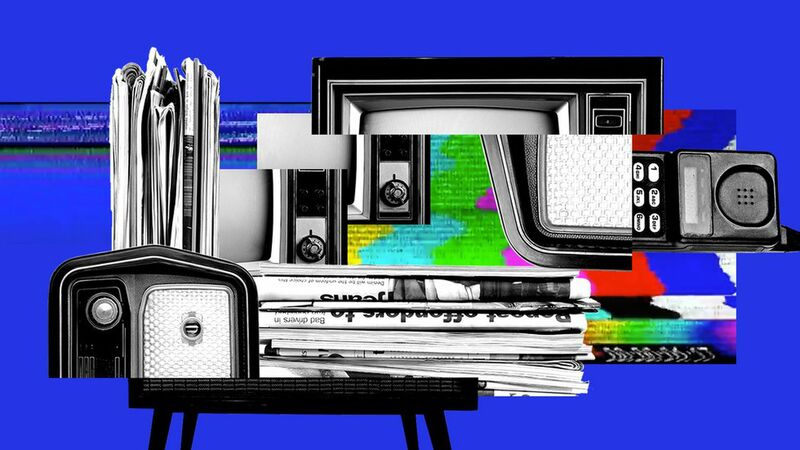 The media industry is still nowhere near reaching consensus on how to measure video content and advertising across different platforms, like mobile, live TV, etc. Why it matters: The industry had hoped to come to an agreement on a universal standard by this point, but efforts have been sidelined mostly by the competing interests from different companies that worry a uniform standard may not paint their numbers in the best light. "We're a bit stalled ... There are many players competing in the measurement and attribution space, but they don't have representative samples. They're all slightly biased by their own footprints ... And it's not conducive for advertisers to manage their investments." The state of play: Over the past two years, the media measurement industry has become more fragmented than ever, as new companies and products launch to take advantage of voids in measurement and attribution — the term used to pinpoint the success of certain media campaigns to various marketing efforts. To give you a sense of the chaos, the Coalition for Innovative Media Measurement (CIMM), an LLC backed by industry stakeholders from various mediums, put out a study of all the companies trying to solve for the problem. CIMM identified over two dozen vendors working on video performance measurement and attribution, and the list is growing. The Media Rating Council, the de facto industry watchdog, began gathering comments last year for a proposed "Audience Measurement Standard" that was supposed to be adopted by everyone beginning this year. But disagreement over the standard, and in particular how to weigh the duration of a view on different platforms, has caused the non-biased standard to generally be ignored. Meanwhile, TV networks like ESPN and NBC have created their own video measurement metrics. And digital platforms still all use different standards to measure what constitutes as a view, with most adopting definitions so short that a "view" is considered no more than a portion of a video's pixels being watched for a second or two. Traditional players in media measurement have been trying to improve their methodologies to meet the new times, but have also had to deal with corporate struggles, which have in some cases held them back from innovating as quickly as they would've liked to. comScore, considered the leader in digital traffic ratings, tapped a new president earlier this month after spending millions on a painful financial audit and litigation settlement over the course of three years. Nielsen, considered the leader in TV viewership ratings, is considering strategic alternatives including a potential sale, Reuters reports. Inflated digital video metrics would leave you to believe that most people spend all their time on their phones consuming viral videos and that television is dead. But while TV companies are struggling and more people are watching less TV, it's still the most dominant medium for watching video in terms of time spent for the average American, and it still dominates ad spend over digital video. 6. Exclusive: Google says ads.txt adoption reaching "critical mass"
Nearly all ad dollars (90%) exchanged on Google's ad server are now sold to verified publishers using an industry standard called "ads.txt," Google tells Axios ahead of its first-ever ad fraud summit today in New York City. Why it matters: Publishers are taking industry-wide efforts to combat ad fraud seriously and are acting quickly to implement protective measures. How it works: Ads.txt is an industry-wide initiative that prevents counterfeit ad inventory from being exchanged by forcing publishers to verify businesses that can sell their ad inventory upfront. What they're saying: Google Director of Product Management Payam Shodjai says "it's reaching far beyond critical mass at this point in advertiser and publisher adoption," thanks in part to better controls that let marketers ban ads to non-participating publishers. What's next: A new industry-wide initiative called ads.cert that's is being implemented to help ad buyers vet publishers' inventory themselves. At this point, Shodjai says the standard has not been fully finalized, mostly due to privacy concerns. The podcast business is exploding, but not all companies are finding success in creating podcast content. Last week Nick Quah, who writes the Hot Pod podcasting newsletter, broke that podcast network Panoply (a sister company to Slate Media) is exiting the podcast content business to focus on podcast hosting and ad-serving. In August, Nieman Lab reported that the entire group responsible for Amazon Audible’s shorter-form podcast-style programming was being eliminated. At the same time, iHeartMedia is looking to cement its lead in commercial podcast publishing by acquiring of Stuff Media, one of the largest U.S. podcasting companies, for a deal valued at roughly $55 million, sources tell WSJ. Quah also reports that Slate Group chairman Jacob Weisberg is leaving to launch a new podcast company with author Malcolm Gladwell. The bottom line: Podcasting is a small business, but ad revenue grew by 94% between the end of 2016 to the end of 2017. But creating a hit podcast isn't easy, especially as the field becomes more crowded. According to Edison Research, a leader in podcast data, the share of time spent listening to podcasts amongst all audio has doubled amongst U.S. consumers in the past four years. Go deeper: Nieman Lab's Joshua Benton has a good roundup on the latest podcast news. Presenting at the Online News Association conference last week, digital analytics company Chartbeat explained that Facebook going down for just 45 minutes on August 3rd, 2018 had a dramatic impact on the publishing ecosystem.